God is always at work in the world around us. By reading the testimonies below, you can learn about God's love, amazing grace, salvation, and His work in the lives of those that have come to faith in Him. If you don't know Jesus Christ as your personal Lord and Saviour, read the testimonies below to find out how the Gospel truly changes the lives of people. If you are a Christian, be encouraged in your faith by reading the testimonies of other believers. We would love to hear how God has worked in your life! 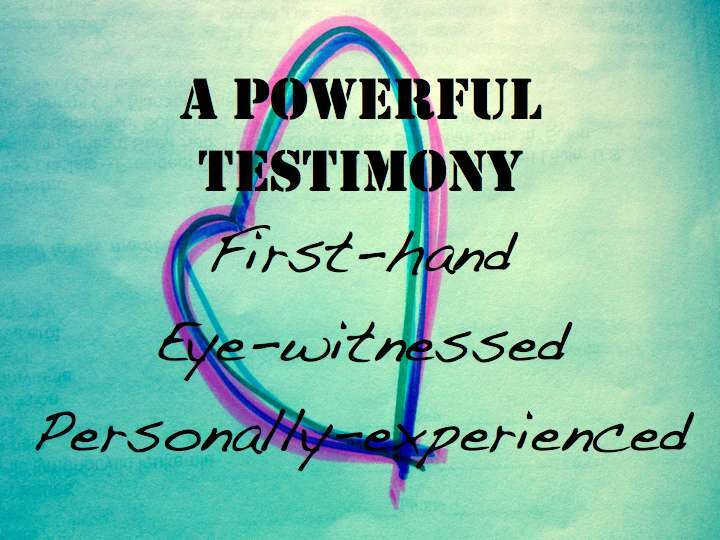 If you would like to share your testimony submit yours below. We pray that you will be encouraged by the testimonies, and will grow in your faith and knowledge of our Lord and Saviour Jesus Christ. To start with, I didn’t really have any interest in God. I had no views of what would happen when I die. I kept these thoughts way back in my mind. I would deal with it at another time. But when I met my future wife, Jan, she was already a church goer, and over time she had been praying for an opportunity for me to give my life to God. At one of our lowest times, when we were both unemployed, we happened to come across an advert in our local newspaper, offering free transportation to see American evangelist Billy Graham who was doing a week of crusades at Villa Park in Birmingham. We phoned the Church responsible for the advert, and arranged to go with them. I remember sitting in the top stand, right at the very back. When Billy Graham made the invitation to come forward and give your life to Christ, I knew that he was speaking to me. We made the long trek from the top of the stands down to the pitch where we both officially accepted Jesus Christ into our lives. We hadn’t a clue which Church to become involved in, so we decided to stay with the Church that posted the advert. It became our ‘spiritual home’ and we loved every minute of it. My life changed dramatically. I had a purpose in life, a peace – and we both managed to get jobs! They say ‘home is where the heart is’ and that is so true, but it is also true for your Church home. There is nothing like being at home in Church, because there you can grow and develop in your Christian walk, and while you are growing, you know you can depend on those around you to uphold you in prayer. However, after a number of years, the Church suddenly closed its doors. I had no idea where to go. One of the problems was, this Church was interdenominational, it didn’t belong to a denomination, so I hadn’t got a clue if I was Baptist minded, or Methodist, or Pentecostal. But I did know all I wanted was a Church that fed me on the Word of God and not on someone’s opinion. So my journey began. Jan and I went from Church to Church, often travelling many miles in hope that I would walk into a Church knowing it was Bible-based and true to the Word of God. To my disappointment, I didn’t find that. What I did find was a string of strange teachings which just added to my confusion. Week and months went by and I was getting more discouraged. What is more frustrating is that over all this time, we had been driving passed a Church right on my patch. I was convinced that the Church that would meet my spiritual needs was only found by driving out of town. Thankfully, one Sunday morning we decided to ‘try out’ St. Andrew’s. At that time I was losing my will to search any longer, so I thought I might as well go to the Church just up the road. I remember sitting there expecting to listen to the minister’s strange opinions and ideas as I had frequently done in other Churches, but instead what I found was sound Biblical truth. This minister actually allowed God to speak! Furthermore, a large portion of the service included prayer, and not one but two Bible readings! It was so refreshing. Needless to say, we continued to grow under this ministry, and last November I was ordained as Presbyter. As you can see, my story has a happy ending, but there are many people who have given their lives to Christ, who are not growing in their walk because they are in the wrong Church. As a result they become stagnant. If the Church you are in glorifies the minister instead of glorifying Jesus, or if what is said is contrary to God’s Word,you are in the wrong Church. My journey was a struggle, and often discouraging, but I found St. Andrew’s and I have found my home. My name is: regret, shame, pain, dirty, angry, failure, hated, forgotten. My life is full of valleys, with no mountain in sight. I haven’t seen good in so long I’m not sure it still exists. 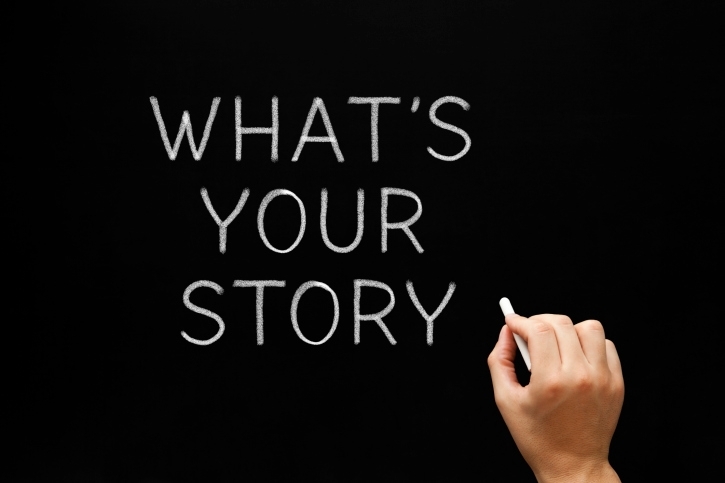 My story starts out like anybody else. For six years of my life I was the typical kid. Then life got in the way and things started changing. When I was six I watched my great grandmother take her last breath. Four short months later, at age seven, my dad died. He died from complications from attempted suicide. I was never a “normal” child after that. I sat alone on the floor during P.E. at school watching the other children play begging God to just tell them I loved them. That in itself is way too much for a seven-year old to handle all by herself. I started getting really depressed. I even went as far as attempting suicide. My heart was broken and nobody could or would help me. As time went on I came out of my depression and could see hope again. Then on 27 January 2009, my world crashed. My great aunt died. I was lost and empty. Eleven short months later tragedy struck again. My grandpa died. I felt an anger start in my heart that would not soon be quenched. On 16 June 16 2012, my faith was put to the test harder than before. My other grandpa lost his battle with cancer. I started spiraling. I was depressed, angry, and confused. I wondered why God who is supposed to love me so much kept ruining my life. I started drinking and smoking daily. Curling up to a bottle was the only thing getting me through the day. I started giving myself away in pieces and slowly at first, then all at once, until I had nothing left. I looked in the mirror and saw a stranger — a tired, broken stranger. I was a mess. I was only 14 but I felt like I had lived a thousand years. On 20 October 2013, I knew I couldn’t continue down the road I was on, so I turned to Jesus. I became a new person that day. Jesus saved me from myself. He became my life. I could finally stop fighting. After 10 years of death and pain I was exhausted. I could smile and laugh. My brokenness healed. I had hope for the future. Tragedy still came. 17 August 2014, my world came to a stop once again. My uncle who was my best friend, died. Losing him was the hardest thing I’ve ever gone through. It didn’t make sense; he was only 46. How could someone that I loved so much and had seen every single day really be gone? Five days later another uncle passed away. I couldn’t take it. My heart was so broken and I was so emotionally exhausted. I felt like running away and never stopping. ​This time was different though. I was done running. I asked Jesus to carry me through it and he did. He still is. Because of him I have a smile on my face and a song in my heart. I have valleys, but I also have mountains. I have hope; I see the good in the bad. I am transformed. My name is: joy, peace, over-comer, remembered, redeemed, restored, loved, forgiven. I have never really had a reason to believe in God, I lost my closest brother when I was a child, I was in foster care and my first family was not so kind to me. I always felt an outsider in some way but could never put my finger on why. Then in my last year of high school my mom passed away, I was never really close to her as she was an alcoholic and I blamed her for many years for me being in care. Then my hero dad passed when I was 18 and that was it I was lost. My partner (been together since high school) was always by my side no matter how stupid or childish I was. Over the years we have had 5 amazing children, I still had no reason to believe in god no signs no nothing, I struggled through life not knowing if there is a second chance after we pass away. Then December 2017 kids opened presents all is good in the world. A few days after my amazing fiancée goes to hospital for a scan as she is pregnant, doctors are not happy and say she has to stay in, so I rush from work to be there. 3 days in and my baby boy needs to come out as he really poorly, he is very early as he not due to come into this world till March. I race again from work to the hospital as I get a call from Myra (fiancée) that they taking him out of her... I panic I race my motorbike home from work again and to the hospital I had to wait over an hour while Myra had the operation I was terrified. I don’t no if god exists but I prayed hard that day hoping there was a god and he could hear me. Then a doctor came in and said baby is ok but he is very small 2lb 2 oz and I could not see him yet they was prepping him and Myra w will be back in the room shortly but they had to give her a full anaesthetic so she would be very groggy. Myra had pulled through like the fighter she is. Then I got to see my little boy Colin. I was so overjoyed I cried, the nurse (Helen) hugged me and said next 48 hours are risky. I started to panic and did not sleep a wink for those 48 hours. I carried on praying. Then the next 3 weeks were a roller-coaster. Had good days, stable days and scary days, and I will admit I only prayed on the scary days, and every time he pulled through. Now I still don’t if it is God that helped, but I must say there is defiantly some kind of divine power watching over him don’t know if that may be a spirit of my mom and dad if they exist or God, if he exists, but from what I’ve seen so far there is defiantly something. I made a deal on one of the scariest days of my life where my little Colin was nearly lost, and that was if he pulls through this and gets to come home to us, I will go to church every Sunday I can as a thank you to God or Jesus or whatever power it is that is out there and I still intend to honour that agreement. Since that day of the agreement I did while praying my baby is getting stronger. Part of that is due to the hard work of doctors and nurses at his side but the rest is due to who ever heard my prayers that day. I need to know more, I'm convinced there is something up there watching over us, I just don't know whom or what but my thanks are with them. September 2014 my Daughters banns of marriage were being read and I accompanied her to the three readings. We were made so welcome and everyone was so friendly. I made up my mind that I wanted to be part of such a friendly Christian family, where troubles are listened too and support is freely given. ​To anyone reading this I say come and join us and be a part of our family. This is my testimony of how I came to know the Lord. For many years I heard of the word of God, but for whatever reason I never received it. In my own mind I thought I was living a good life. I was happy with my husband, and my daughter. But there was always something missing. I did not know what it was. So for many years I was in darkness and in vanities but did not know this. I was seeking for satisfaction but could never be pleased from within. But one day my Lord and Saviour called me to His light. I was invited to a social event at church, little did I know that the Lord was preparing me for this night, because when I heard His word I wanted to hear more. I can’t explain how I felt that night all I know is that I had such peace. I enjoyed myself so much that I wanted to receive this Christ. Just as the woman in (John 4:15) She said to Jesus, Sir give me this water so that I will not thirst nor come here to draw. The more I called on Him the more I enjoyed Him. My daughter was 3yrs old at the time and we were very much in the things of the world. She is almost 7yrs old and if you see the way she praises the Lord you would not believe it. I now have a personal relationship with the Lord and I pray each day that He would continue to make His home in my heart (Eph 3:17). He is not just the God in the heavens, but He also dwells in me. 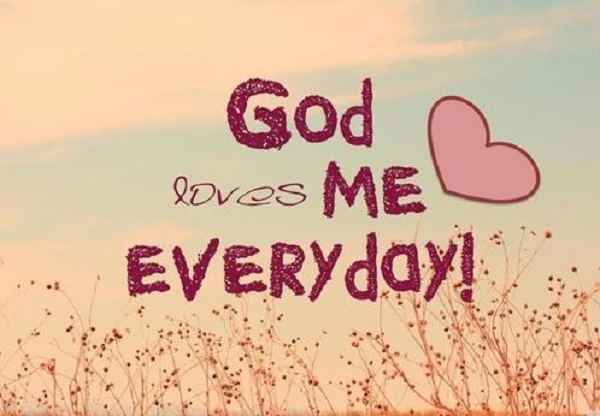 I love the Lord very much. He is my life, my light, my way, my rest, my joy, my hope, my glory, my teacher, my guide, my master and King, the author of my faith who satisfies my every need. He is my all and in all, without this Christ I am nothing. Now I have His life. Even though I was dead in my offenses and sins I now have redemption through His blood according to the riches of His grace. By grace I have been saved through faith, and I know this is not of myself; it is the GIFT OF GOD (Eph 2:8). 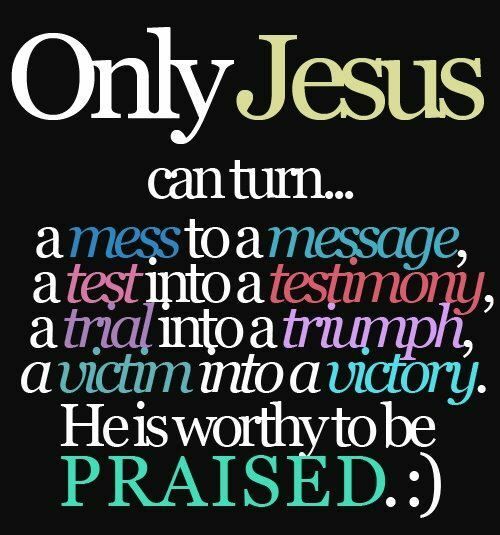 Day by day I am experiencing this great Christ. 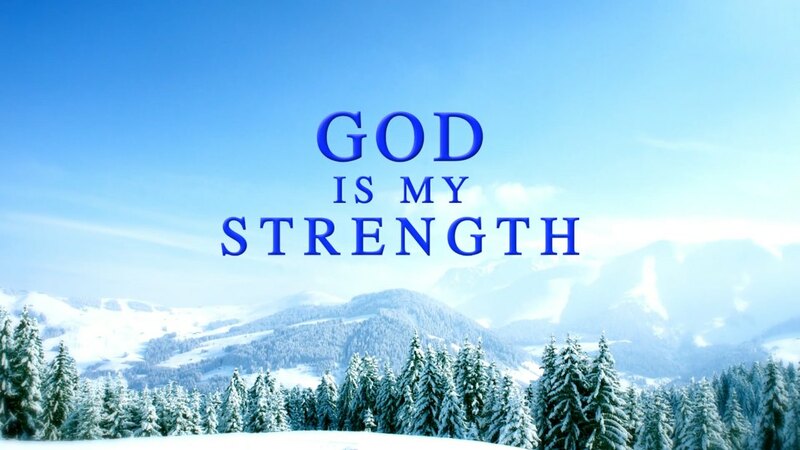 He is my life and my life supply, seeing that His divine power has granted me things which relate to life and godliness. Praise the Lord as a believer and as God’s possession I have been chosen, called, redeemed, regenerated, saved, now I am being guarded, purified, growing and developing, transforming and being built up as a spiritual house into a holy priesthood. So let us walk worthily of the Lord to please Him in all things, bearing fruit in every good work and growing by the full knowledge of God (Col 1:10). Grace be with all those who love our Lord Jesus Christ. Mrs Smith - posted on our webpage Praise be! I can still look in the mirror and see the chip in my tooth. But really, I don’t mind at all. I’m actually glad that He did. I grew up in a wonderful, stable family where I felt loved and learned about God at a young age. But when adolescence hit, I forgot about faith and tried to find satisfaction without God. I felt a deep need to be accepted by my peers so I began to compromise the morals I’d been taught at home. I got involved with friends who had a negative influence on me. It didn’t take long for me to start drinking, get physical with my girlfriend and begin smoking a lot of pot. I wasn’t just out skateboarding like I told my parents. I became joyless and miserable. I remember feeling this profound emptiness— like I knew I was wasting my life and wasn’t meant to live like this. One evening when the house was empty, I curled up in a ball on the living room carpet and cried until my stomach hurt. I was looking for something to fill the void in my life. “Guess what?”A short time later I was in the van going to a movie with my dad. There was a thick, dead silence. My dad knew I was rebelling against everything our family stood for. He clearly wasn’t pleased and I knew I was driving my mother crazy with worry. It was the special way my dad had of telling us kids that he loved us. But I totally wasn’t expecting him to say that when I was busy deceiving my family. Experiencing my father’s unconditional love helped keep my heart from getting too calloused. But I continued to isolate myself from my family. I’d walk in the door and head straight to my room, hoping they wouldn’t smell the marijuana on me or see my blood-shot eyes. I didn’t really talk to them anymore. This continued for about ten months until my brother came home from college. I was on the phone with my friend planning our next time to smoke up, but then I heard my brother yell across the house: “Michael is smoking pot!” I knew he’d been listening on the other phone. I’d been ratted out, so I stormed off fuming, smoking a cigarette as I strutted through the park next to our house. My mom was watching through the window. That evening my dad came home and grounded me from my friends for a month. I counted down the days till freedom and then went straight back to hang out with my friends. But by now someone new had asserted himself as the leader of the group. He’d been to juvenile prison and was tough as nails compared to me. We all went outside to the walkway between two houses. I put up my fists, ready for the fight. Wack! He walloped me right in the tooth. I’d never been in a real fight in my life. I knew I was no match for this guy, so I turned away and stormed back home. That was the last time I hung out with those so-called friends. A wake-up callI like to think it was God who punched me in the face that day. God knew I needed a wake-up call to question whether those friends were really good for me. I needed to realise they couldn’t give me the acceptance I was looking for. This was a huge turning point in my life. God used this experience to set me on the path to finding true acceptance in Him. It still took me a while to warm up to God and His love, but I was making steady progress in that direction. I found better friends and began participating in my church youth group. Eventually God worked His way into my heart, freeing me from the insecurities that drove me to go along with the crowd. I started to believe that God really did have wonderful plans for my life, and I discovered a sense of purpose helping out with music at my church. My last few years of school could have been very self-destructive, but they turned out to be some of the best years I’ve had. I was making Jesus my priority, and He was filling me with joy and peace. I stopped caring so much about what others thought of me. I finally felt His acceptance, and that’s what matters most.